I’m a hungry athlete,” I hear you say. “I’ve just got back from a 10 mile run and I’m starving.” Luckily, as an endurance athlete, your calorie requirement is far greater than your sedentary counterparts. Whether you’re trying to maintain a healthy training weight or to shed pounds to gain the competitive advantage, the type of calories you eat is just as important as the amount. Energy is provided by calories, simple as that. Reduce calorie intake too much and you may lack the energy to train well. Your body may start to feed off its muscle, which will lower your metabolic rate and it will be a downward spiral from there. Be savvy about the calories you choose and you’ll not only avoid that overwhelming feeling of starvation and lethargy, you’ll also train more efficiently, recover quicker and ultimately race better. Calories packed with nutrients – found for the most part in unrefined, fresh, natural foods – will fuel training, maintain muscle health and keep your immune system strong. Nutrient-poor calories, so often found hidden in the processed, convenience foods of our everyday diet, might satisfy short-term cravings, but provide little or no worthwhile nutrients. To perform at your best you need premium fuel. So here are five great ways to avoid the bad, hidden calories that lurk in our everyday meal choices. Ever wondered how much sugar is in your favourite cereal? Do the calories in your morning muffin provide nutrients to aid your training? Breakfast cereals and breakfast muffins, that are branded as being healthy, are often laden with pointless, sugary calories which will give you a short-term blood sugar rush only to leave you craving more food mid-morning. 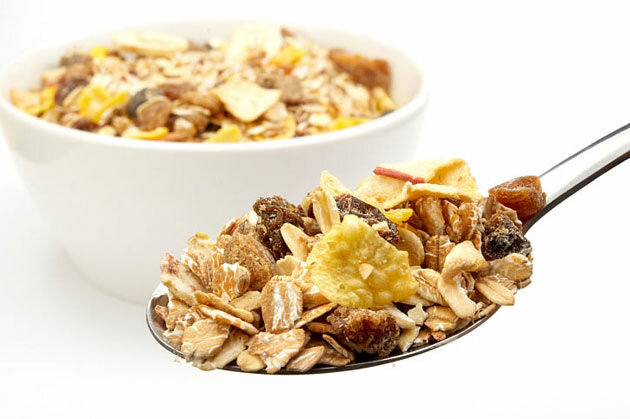 Sure, keep a box of sweet oaty granola in your cupboard or grab yourself a blueberry muffin for quick-fix post-run recovery, but opt for lower sugar cereals, sugar-free muesli or porridge for your everyday breakfast. Swap the muffin for an English muffin and a nutritious poached egg; a little protein will help sustain your energy levels and keep you fuller for even longer. A few lettuce leaves on a plate might be the slim-line option, but salads can be deceptive. Pile on the bacon, cheese, coleslaw and a creamy dressing, and you’ve suddenly got yourself an enormous calorie bomb. Researchers looked at 20 salads from major outlets and found many had extremely high fat contents. In fact, a large chicken Caesar salad can be anything from 500 to 800 calories, including up to 50g fat. Much better to avoid the dressing-drenched options and go for grilled chicken on a mixed green salad with a light balsamic dressing or a glug of olive oil whisked with a little lemon juice. Pasta and rice can provide excellent low-fat fuel for training. However, order a chicken korma, a spaghetti carbonara, or a Thai green curry, each fat-laden with cream and excess calories, and you’ll most likely feel heavy and like you’ve been nailed to the floor during your next workout. Admittedly, they are packed with other useful nutrients, but what you’ve got to remember is there’s 550 calories in just one cup of coconut milk with a massive 57g of fat, and this is mostly saturated. Instead, consider choosing dry curries ,lighter, tomato-based pasta sauces; or delicious pad Thai noodles and stir-fries. So you’ve swapped your afternoon biscuit binge for nuts, seeds and dried fruit for a healthier option. That’s fantastic, but it is essential to remember portion control. Packed with good fats, vitamins and minerals, nuts and seeds are energy-dense foods that should definitely be included in your diet. They are, however, loaded with calories. Enjoy a small handful and then, if you’re still hungry, choose an apple or some carrot sticks. At around 200 calories for a large glass of red wine, it’s widely acknowledged that alcoholic drinks are very high in empty calories. It’s not just alcoholic drinks you need to be wary of, though. Many soft drinks, including those you drink specifically to perform well – such as sports drinks and protein recovery drinks – are also packed with calories, most of which are empty calories. Fizzy drinks are best avoided completely. A can of Coke or lemonade gives around 150 calories of liquid sugar, but even so-called healthy drinks are crammed with calories. A glass of fruit smoothie clocks in at around 150 calories. Feel free to use sports drinks by all means, but try to limit their usage to tough workout sessions. At other times during your day, and during less strenuous training sessions, it is best to hydrate just with water – it’s calorie-free, it’s cheap and it’s good for you. 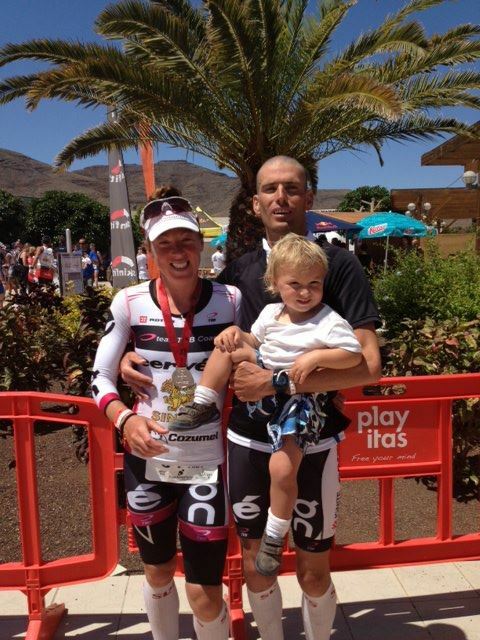 "This past weekend we were at Playitas for Challenge Fuerteventura. Before the race I thought a top 5 result would be good in the competitive field, so to get 4th made me happy. A perfect tough training day for the upcoming races and a small pay check too." 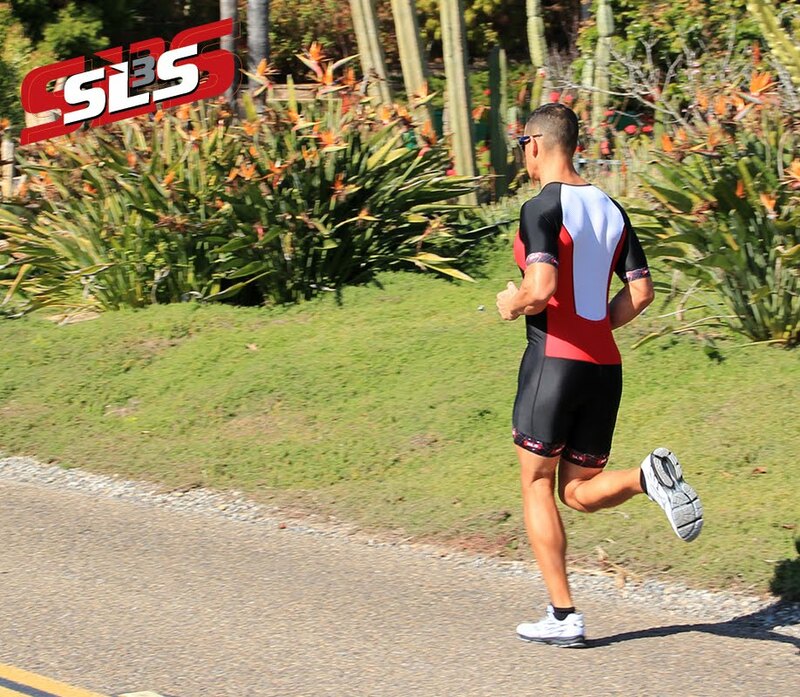 Bella was racing, like always, in her SLS3 compression socks.